Facilities at Ideo Q Chula-Samyan include elevator, parking, 24-hours security, cctv, swimming pool, sauna, gym, shop on premise, wi-fi. Ideo Q Chula-Samyan conveniently located just within 380 m or about 5 minutes walk from the Sam Yan. If you drive, the nearest tollway entrance is located 710 m from the condo. คอนโด High Rise ตรงข้ามสวนจตุจักร ห่างจาก BTS 400 ม.และ MRT 350 ม. 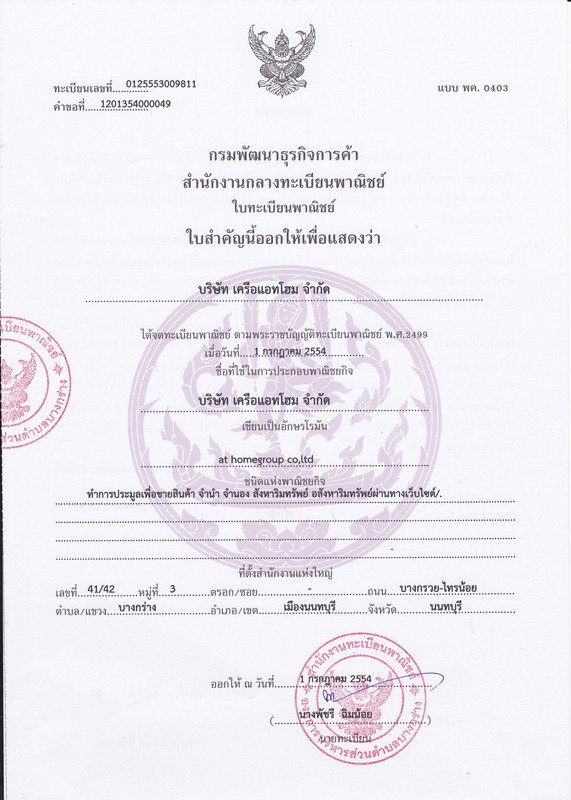 1 ห้องนอน 1 ห้องนอน ชั้น 2 ขนาด 54 ตร.ม. บ้านเดี่ยว 2 ชั้น หมู่บ้านไผ่ทอง(หัวมุม) 239 ตร.ว. ซอยรวมญาติ บางบอน3 กทม. ม.ไผ่ทอง ซอยรวมญาติ ถนนบางบอน3 แขวงหลักสอง เขตบางแค กทม. -สระว่ายน้ำ ฟิตเนส กล้องวงจรปิด คีย์การ์ด รปภ. 24 ชม. - The Tree Bang Po Station, This room is a room for you to decorate the room as needed. The kitchen is built in good condition. - A very nice condo in Bang Po area, just 150 meters from MRT. - This unit is lower than the condominium market in Bang Po area, which average is 100,000 baht per square meter, but this unit can not sell 80,000 baht per square. - 29.6 sq.m. is a studio that separates the kitchen. - balcony facing south Cold wind blows all year round. - Fully furnished with built in kitchen and air-con. - Project area: 3 rai 3 ngan 40.00 sq.m. - Project Type: High Rise Condominium 32 floors with 1 building 709 units. - Facilities: Lobby, Private library on 2nd floor, large communal swimming pool, fitness on 5th floor, JOGGING TRACK on 18th floor, CCTV, 24 hrs. - Central Charge ฿ 27 per sq.m. 2. Project of Bang Pho BTS station about 150 m.
3. The new Parliament is about 1.5 km. 4. Soi Aree about 3 km. 5. Banglumpoo about 3.5 km. 7. Bang Pho Hospital 400 m.
-The Mall ท่าพระ 2 กม. - This room layout is divided into living room, kitchen, bathroom, bedroom, fully furnished, built-in room. - Fully equipped. Swimming pool, Fitness, Lobby, 5 meters high, Reading room And green area over 4 rai. - make you comfortable Near Big C And the big market. - Convenient Near only 550 meters from Klong Bang Phai BTS Station 1 station from Central West Gate. - Room A Building, 3rd Floor, from 8 floors, walk up the stairs, do not have to lift the elevator. - Balcony facing north, not sunny and cool throughout the year. 1. TV cabinet and built-in locker. - Project area: 16 rai 71 sq.w. - Common fee 35 per sq.m. - Central Market Bangyai: 1.2 km. - The Square Bangyai: 1.1 km. - Big C Ratthanathibet: 1.5 km. - Homepro Rattanathibet: 1.5 km. - Kasem Rat Hospital, Rattanathibeth: 1.4 km. 1 ห้องนอน 1 ห้องน้ำ 1 ห้องนั้งเล่น ห้องครัวเป็นสัดส่วน ชั้น 11 ขนาด 43 ตร.ม. คอนโด Aspire ใจกลางเมือง ตกแต่งสวยงามน่าอยู่ ติดห้องมุม ถนนกล้วยน้ำไท แขวงพระโขนง เขตคลองเตย กทม. ขาย ที่ดิน คลอง 8 ตรงกันข้ามวัดดอนใหญ่ 11 ไร่ 2 งาน เหมาะทำหมู่บ้าน กว้าง 35ม ลึก 530ม.